IdeasCity is a collaborative, civic, and creative platform that explores the future of cities with arts and culture as driving forces. Founded in 2011, IdeasCity builds on the New Museum’s mission of “New Art, New Ideas” by extending the Museum beyond its walls into the civic realm. IdeasCity operates on a two-year cycle. Each cycle focuses on three cities around the world and comprises high-profile public conferences and residency programs that provide in-depth insight into cities through the lens of local experts and initiate new projects designed to tackle key urban issues. The cycle culminates in IdeasCity New York, a major international event in which the ideas developed during the cycle’s earlier public conferences and residency programs are presented in New York. 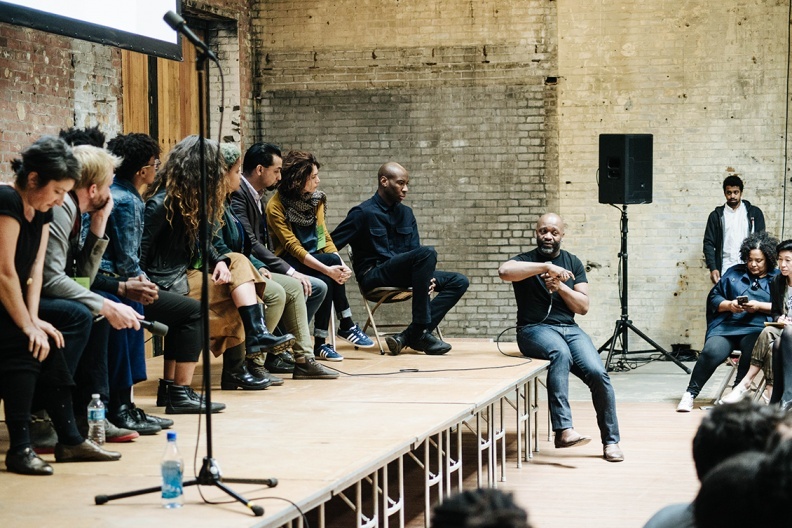 Through this program, IdeasCity provides an international forum for artists, designers, community activists, technologists, and policymakers from all backgrounds to work together, identify challenges, propose solutions, and engage the public’s participation. IdeasCity’s previous festivals in New York, its global conferences in São Paulo and Istanbul, and its program in Detroit have featured participants such as Vito Acconci, Rembert Browne, Michelle Boone, the Honorable Julián Castro, Theaster Gates, dream hampton, Walter Hood, Joi Ito, Rem Koolhaas, Paulo Mendes da Rocha, Performa, Pedro Reyes, Yancey Strickler, and Amanda Williams, among many others. IdeasCity was cofounded by Lisa Phillips, Toby Devan Lewis Director, and Karen Wong, Deputy Director, the New Museum. Please click here for a full list of IdeasCity’s supporters and partners. Want to learn more? Visit IdeasCity online for more information.